Redmund Productions welcomes all authors to submit queries for their manuscripts which meet the following guidelines. In the event a manuscript fails to meet one of the guidelines, help is available to bring it up to standard to expedite the publishing process. All queries are answered within fourteen (14) days. Guidelines for submissions of web content to RedmundPro are listed at the end of this page. No unedited samples or manuscripts will be accepted. If your manuscript has not been edited by another person, send a query through Contact Us to arrange for editing. 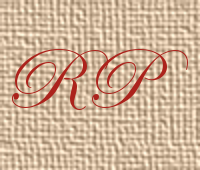 Proceed to the RedmundPro Forum and join the critique, editing and/or grammar rooms in the WIP forum. From Microsoft Word®, a .docx format file which meets all of the following criteria is acceptable. Any documents which are rendered into .docx by non-Microsoft™, GNU licensed applications will be dismissed without being read. If your query is accepted, your editor will contact you with the number of chapters required for a sample from your genre. If you would like a template for your submission, please advise at that time. No books will be printed which are less than 90 (ninety) pages. All accepted manuscripts will be beta read. Story and line edits will be completed before final copy edit and layout. Write in English. Non-native or ESL writers must have manuscripts translated professionally (not by software or Internet application) into English to be considered. Font size should be a minimum of 11, not to exceed 14. Run spell check with an American dictionary. Redmund’s primary language is American English, and its market is the United States. British, Canadian and Australian spellings must be conformed to American spelling. Remove all extra spaces between words and sentences. A single space should be used between sentences. Reduce grammatical errors by addressing fragments noted by the software. Fragments within dialogue are approved in certain instances, including dialect. Run on sentences should be corrected. Reduce punctuation errors. This includes errors in and with quotation marks, extraneous or missing commas, overuse or misuse of ellipses (only three periods accepted), consistency of en and em dashes, moderate use of exclamation points, and all other common punctuation errors. Only submit prefaces as sample chapters if they are an integral part of the main text, as with series installments. Samples should begin with the first chapter. Table of contents, footnotes, endnotes and indices should not be submitted with samples. Items in the text may be marked for later additions of indices. Do not use carriage returns (enter key) or page breaks to force chapters to begin on a new page. No paragraphs of the book should be in ALL CAPS, italics, bold, underline and/or contain lines with broken italics/bold/underline. These treatments should not be used to expect readers to stress certain words in text or dialogue. If your text requires italic or bold treatment, it will be at editorial discretion. Instances of flashback, quotes within quotes and dream or memory sequences will be given special consideration for italics. Poetry will be given special consideration on a poem by poem basis for all special text treatments. Do not use asterisks, tildes or other special characters to demarcate scene changes. Heading 3 may be used to appropriately label subheadings within chapters. If no subheading is to be used, use a single blank line to denote scene changes within chapters. Poetry and chapters should be titled using Header 2. Chapters may have names or numbers, but not both. Do not submit images for cover art or illustration. If you are submitting a full bleed or art book, contact the submissions editor for the correct template and sample size. Save a copy of your submission to your computer. Maintain it without changes until your submission is approved for beta reading, editing or publishing. It will be your reference when speaking with your editor. If you have any questions, do not hesitate to use the Contact Us form or visit the RedmundPro Forum. There are many who both can and will give you a hand. We are not opposed to getting our hands dirty. fit with either the Grammarian or the Editor’s Desk. be between 450 and 1,000 words. not contain photographs or images. Please submit your subject suggestion before you write. Submissions are only accepted for approved topics.